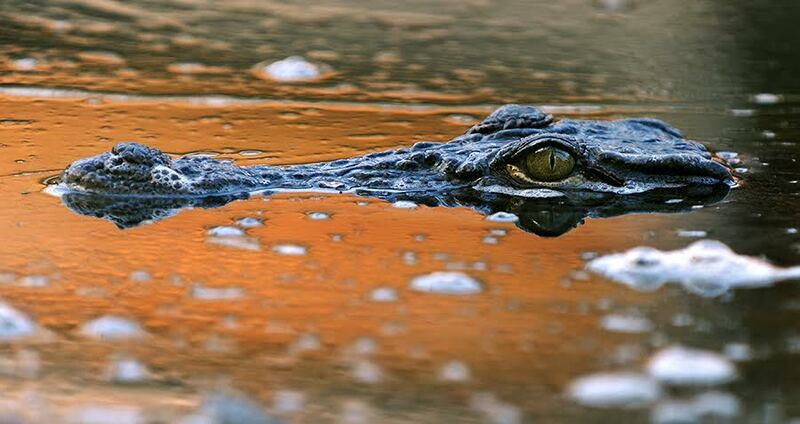 Scientists have confirmed that the Nile crocodile has been found in Florida’s Everglades. Three specimens have been discovered over the past five years. But the question remains: How did they get here? “They didn’t swim from Africa. But we really don’t know how they got into the wild,” University of Florida herpetologist Kenneth Krysko admitted. Krysko and his team recently released a DNA analysis confirming that the three crocodiles found in Florida were indeed of the Nile species. Male Nile crocodiles can grow to be over 16 feet long and weigh more than 1,600 pounds. In their native Sub-Saharan Africa, they’re responsible for about 200 deaths annually. In an interesting twist, the captured crocodiles are all related to each other, but not to any other Nile crocodiles kept (legally) in Florida, at licensed attractions like Disney’s Animal Kingdom. The most likely explanation is that an animal trader brought them illegally to Florida, where he hoped to keep them as pets, or worse, planned to breed them. Rather ominously, Krysko thinks this isn’t the last we’ll hear from this new breed of Floridian Nile crocodile. “The odds that the few of us who study Florida reptiles have found all of the Nile crocs out there is probably unlikely,” he said. Next, read more about the invasive species destroying America. Then, check out this incredible satellite image of the Nile river.